Hermitage put a spell on our Creative Director. Pale blue and lilac walls and scalloped arcs layered one over another. White staircases taking you into a dreamy chambers where walls and furniture are upholstered in various shades of blue fabric. Where big scalloped windows overview magnificent gardens. Where gilded hand-painted lilac candelabras add mystery and romance. World of its own. We were going through images of the palace and the royal family and photos from famous Ball in the Winter Palace in 1903.. As a result we've created flowing dreamy pieces adorned with scalloped details - the main theme of the Hermitage Palace. 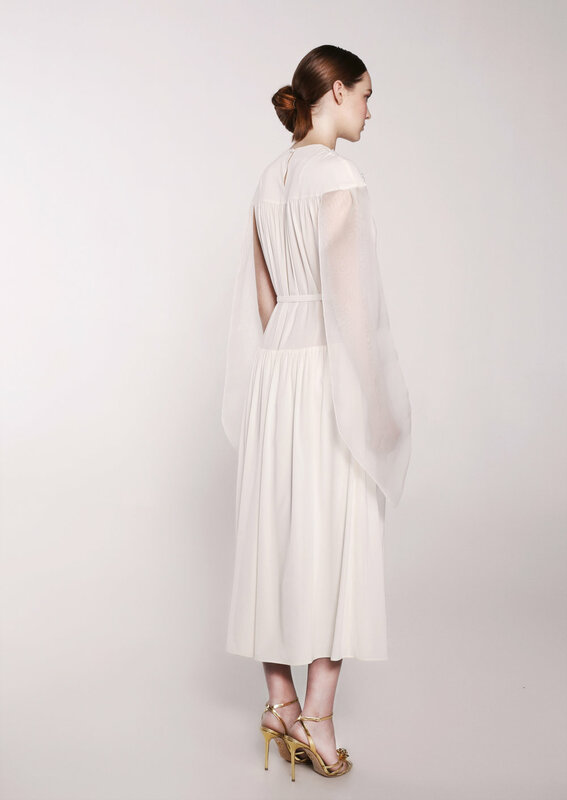 Deconstructed layered organza petals on sleeveless white coat top the list as the most powerful element - because it is a reminder of "Nothing is forever, you have to live in Now". 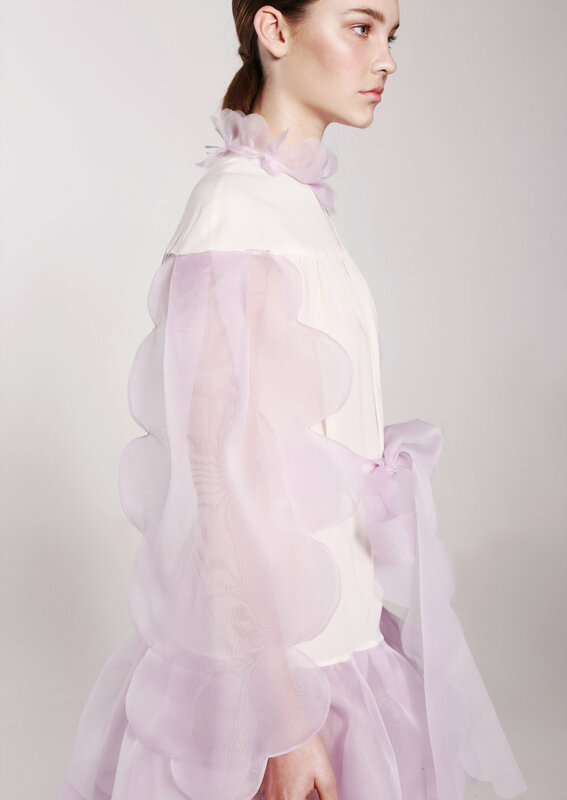 Pale lilac organza dress features scalloped sleeves replicating arcs upon arcs upon arcs in the most lightweight and dreamy way. Romance was embedded into each item. 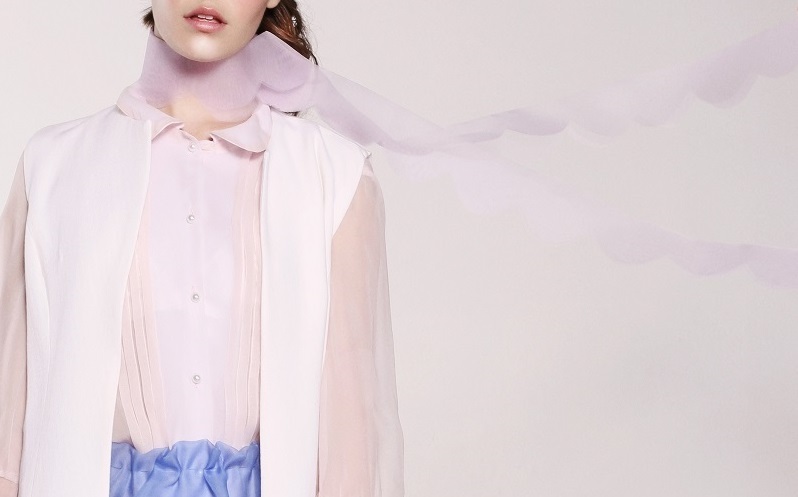 Blue bow with embroidery, replicating Tzarica's brooches, adorns romantic georgette blouse.